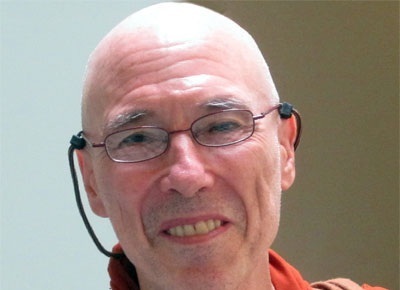 Bhikkhu Bodhi is an American Buddhist monk, originally from New York City. In late 1972, he traveled to Sri Lanka, where he received monastic ordination. He lived for altogether twenty-four years in Asia, primarily in Sri Lanka. He was the editor for the Buddhist Publication Society in Kandy from 1984 until 2002, and he has translated numerous texts from the Pali Canon into English, among them the Samyutta Nikaya (Connected Discourses of the Buddha). In 2008, he helped to establish Buddhist Global Relief, an organization dedicated to providing poverty relief to people in developing countries. He resides at Chuang Yen Monastery in upstate New York.